We will promote communication with all stakeholders in good faith and expand the network of sustainable environmental management. To be a going concern whose growth and development is desired by society, promoting environmental conservation activities alone is not enough. We have to make efforts to inform as many people as possible of our philosophy and activities so that we may win public trust and confidence. The active disclosure of information to internal and external stakeholders will contribute to the further strengthening of activities and the creation of a sustainable society. 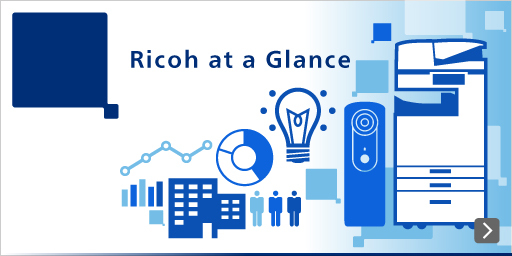 With the firm belief that environmental communication and conservation activities are the two wheels of sustainable environmental management, the Ricoh Group is expanding its network of conservation activities through the promotion of communication in good faith. Aiming to expand the network of sustainable environmental management, we offer useful information. The data regarding past reductions on environmental impact.